The Echo- You want a place to hang your hat that you can feel proud of. Like our other homes, the Echo model provides access to all community amenities (like the fitness center, clubhouse, pools and tennis courts) in a comfortably simple unit interior package. 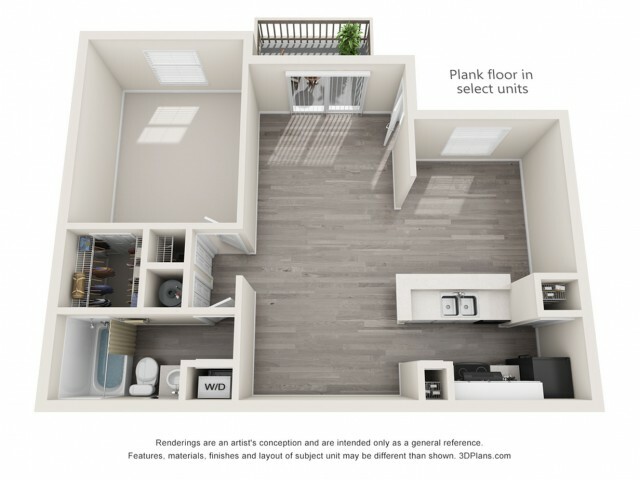 The Echo is our standard unit with upgraded black appliances, priced for those seeking a moderately priced opportunity. *Note All leases executed for shorter than a twelve (12) month agreement are subject to a $50 per month, short-term fee for the duration of the lease agreement.